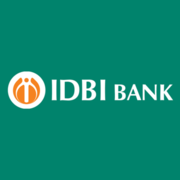 IDBI Bank Recruitment 2019 - Job notification for CCO & CRO Posts in IDBI Bank, Mumbai, Maharashtra on Contract Basis. Applications are invited by IDBI Bank on or before 12 Apr 2019 for 2 vacancies. Eligible candidates may send their application in prescribed format (attached below) in a cover superscribed as “Application for engagement as Chief Compliance Officer (CCO)/ Chief Risk Officer (CRO) on contract basis - 2019” to The General Manager, Human Resources Department, IDBI Bank Ltd., IDBI Tower, 21st floor, WTC Complex, Cuffe Parade, Mumbai – 400 005 on or before 12 Apr 2019, along with attested copies of relevant certificate/s.